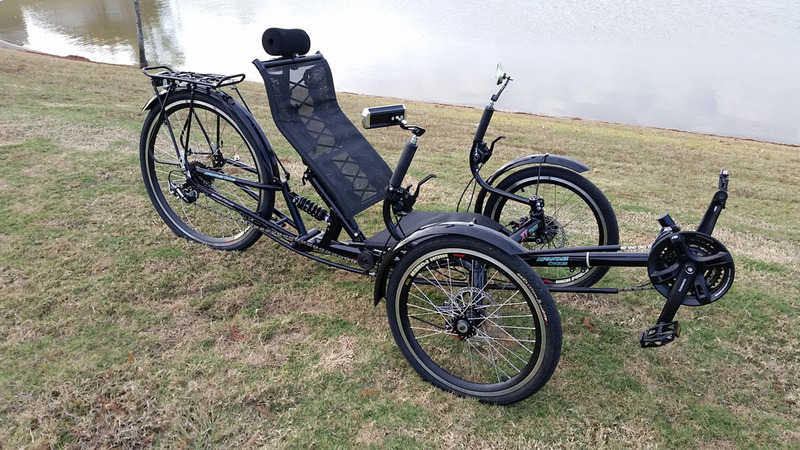 Custom made for each of our clients, this 2nd generation Ultimate comes with a folding unibody frame and a larger 26 inch rear tire. The new unibody frame decreases the cross section of the frame by more than 30%. This results in reduce drag and increase speed. The large 26 inch tires offer greater speed and faster handling. We also added full rear suspension to this year's model to increase ride comfort. Price shown above is the base price without any accessories. The basic parts list is below. Please contact us to choose color, accessories, and upgrades. Upgrades and accessories are extra minus the amount allowable shown below. Metallic color choices will be a $200 upgrade. Direct and indirect steering are available upon request. Cruiser kit is available for this model and will be a $549 optional upgrade. Cruiser kits include the headrest, fenders, rear rack, and mirrors. Electrical motor kit is $1195 if purchased separately but is included in the price above. Motor speed is 35 MPH (We recommend staying under 30 MPH). 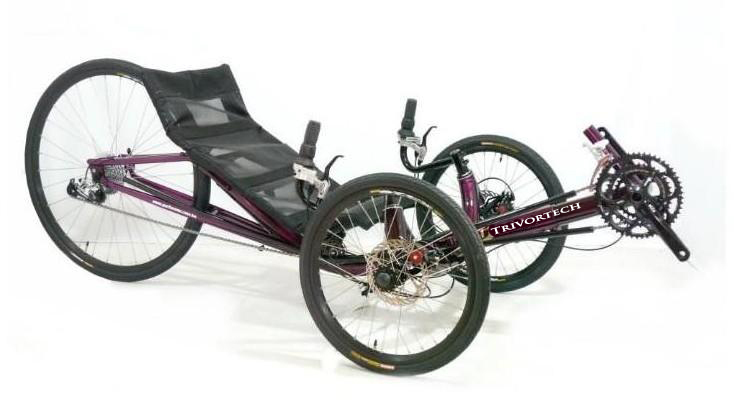 We will need your height and weight in order to select the proper frame and seat size.